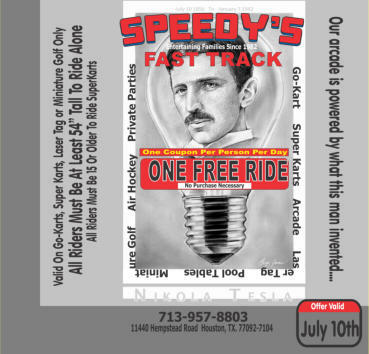 This coupon is valid on July 10th ONLY. It is one free ride. No purchase necessary. You must be at least 54” tall to ride the Go-Karts and of good ability. To ride the Super Karts you must be at least 15 years old and of good ability. This coupon is valid on July 10th ONLY. least 54” tall to ride the Go-Karts and of good ability. years old and of good ability.